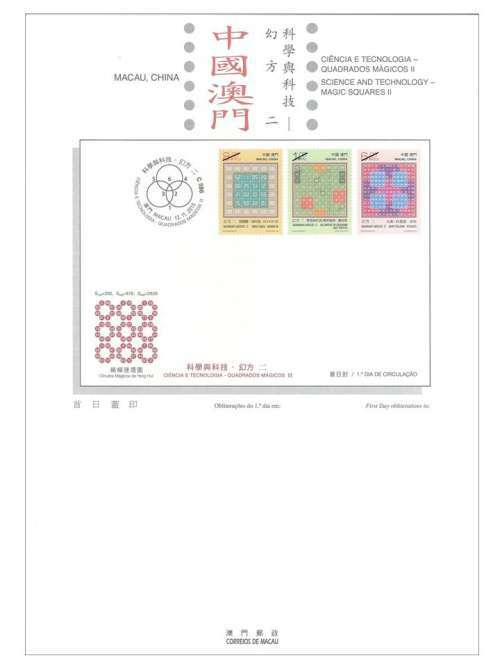 STAMP ISSUE "SCIENCE AND TECHNOLOGY – MAGIC SQUARES II"
Following the stamp theme “Magic Squares” issued in 2014, Macao Post will release the issue “Science and Technology – Magic Squares II” on 12th November, 2015, and this is the seventh Science and Technology stamp series. 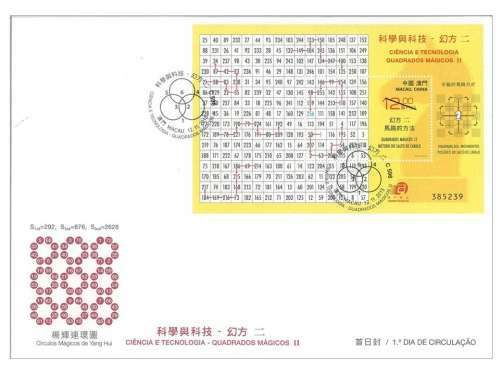 The theme of Magic Squares is transversal in Chinese and Western cultures, Macao Post intends to publicize and promote the scientific and cultural aspects of this theme as well as to create a unique product in the history of Philately. This issue includes a set of three stamps with the themes of “Inder Taneja – IXOHOXI 88”, “McClintock / Ollerenshaw – Most Perfect” and “David Collison – Patchwork”. 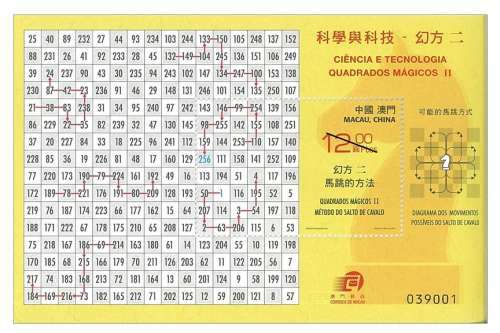 In the souvenir sheet of this issue, the Method of Knight’s Tour is used to construct a Magic Square of Order 16 with a Closed or Reentrant Tour. The Magic Squares series consists of two issues with total of nine stamps. 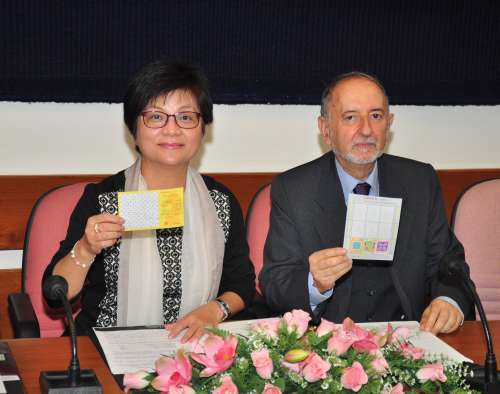 The first issue with six stamps was released on 9th October 2014. 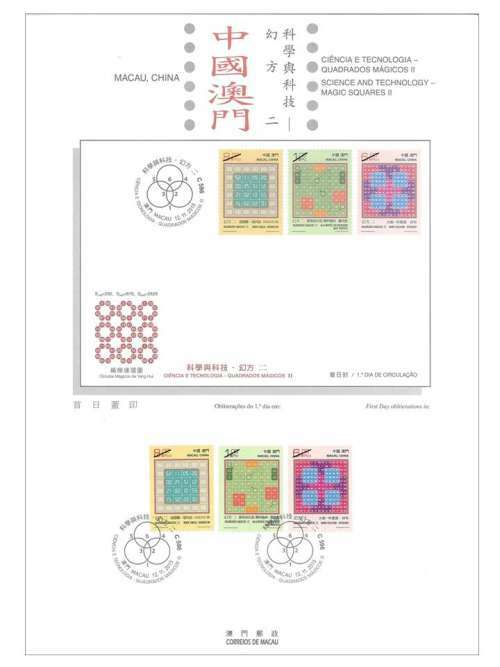 The Sheetlet presents a disposition for the face values of the stamps (1 to 9 patacas) equal to the disposition that the numbers 1 to 9 occupy in the first issue of souvenir sheet “Luo Shu Magic Square”. 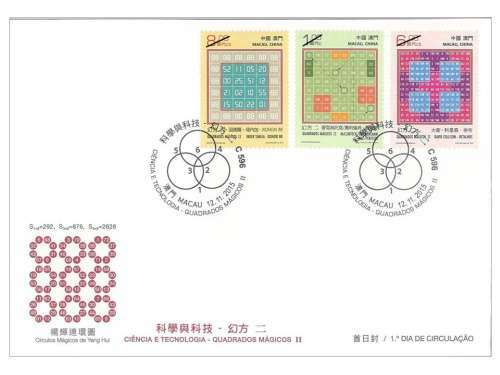 In this issue, the last three stamps with the face values of 8, 1 and 6 patacas, corresponding to the Inferior Row in the “Luo Shu Magic Square” are issued. The concept of this issue and the author of text are responsible by Eng. Carlos A. Roldão Lopes. The composition of this issue is designed by Mr. Carlos Gonçalves. This is the fourteenth theme in 2015. 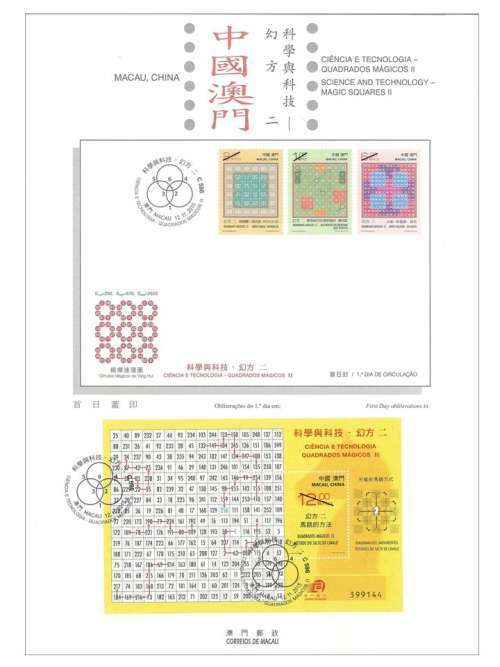 The previous issued stamps are “Lunar Year of the Goat” on 05/01/2015, the label stamp “Lunar Year of the Goat” on 28/01/2015, “110th Anniversary of Rotary International” on 16/02/2015, “Mainland Scenery VI” on 01/03/2015, “25 Years of AICEP” on 27/04/2015, “Macao Wetlands” on 05/05/2015, “110th Anniversary of the Birth of Xian Xinghai” on 13/06/2015, the label stamp “Old Streets and Alleys” on 30/06/2015, “150th Anniversary of Guia Lighthouse” on 08/07/2015, “10th Anniversary of the Historic Centre of Macao as World Heritage” on 15/07/2015, “Water and Life” on 31/07/2015, “70th Anniversary of Victory in the Chinese People’s War of Resistance Against Japan” on 03/09/2015, the definitive stamps “Old Streets and Alleys” on 22/09/2015, “Festivity” on 09/10/2015, and “Literature and its Characters – Jiu Ge” on 30/10/2015. 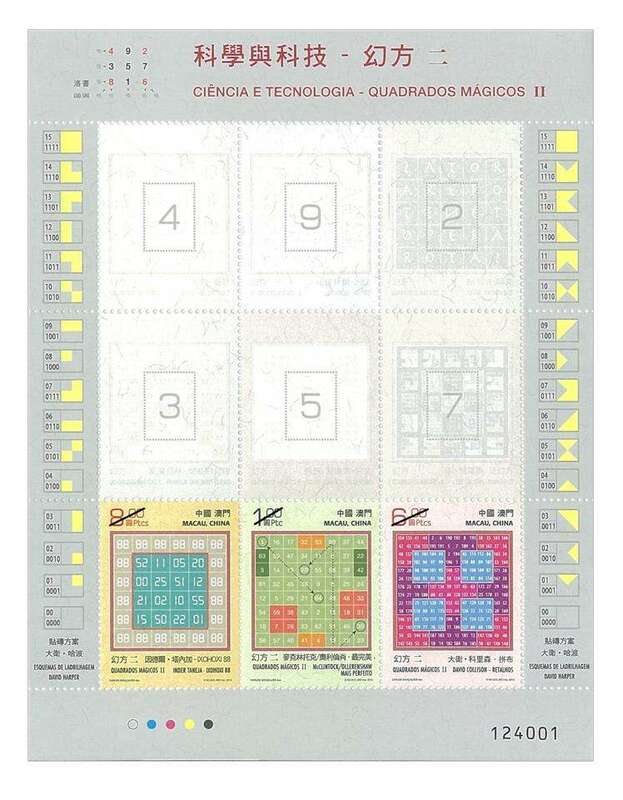 Technical Data of Stamp "SCIENCE AND TECHNOLOGY – MAGIC SQUARES II"